Whenever my mom buys a cookbook for a budding chef, this one is at the top of her list. I understand why: the book not only provides excellent recipes, but also essential information on food shopping and storing. This book is perfect for anyone who has no idea how to begin cooking well, but it is also a great book to have in the kitchens of more experienced cooks. 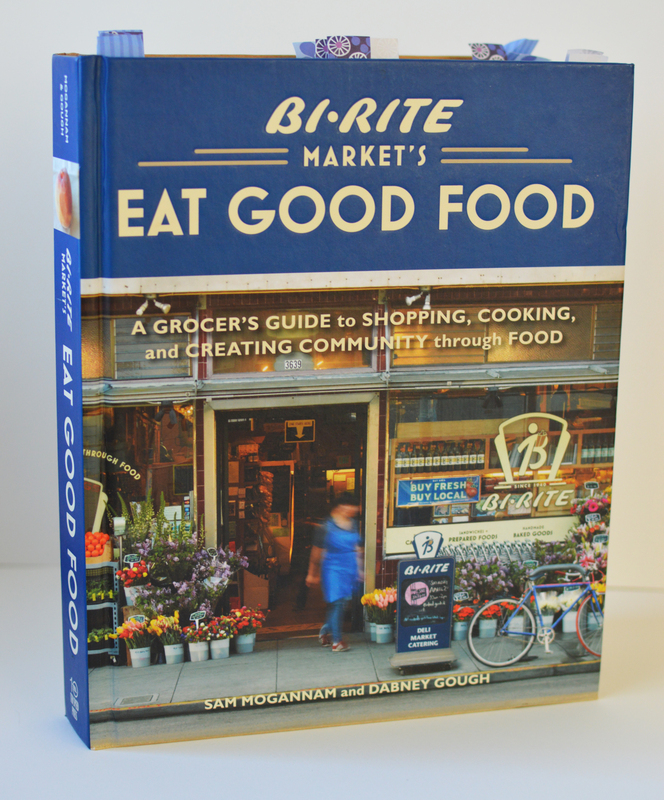 The book starts off with some history about Bi-Rite Market in San Francisco, which is definitely worth a read. Reading the introduction will leave you feeling inspired to take care in what you buy and what you cook. The cookbook is organized by types of food—Grocery, Produce, etc.—and then by season within those larger sections. Each section lists the items, then goes into information about buying, storing, and using each item. Gough and Mogannam also provide a list of ideal qualities to look for while grocery shopping for each and every listed item. The extensive knowledge about each and every item is impressive—you will close the book feeling armed with the right tools for cooking good food. The recipes are, for the most part, relatively simple. I especially love the Farro Salad with Mushrooms and Butternut Squash (pg. 55), Sicilian Meatballs with Fresh Basil Marinara (pg. 176), and Stone Fruit Galette (pg. 232). Oh, and don’t forget the Butternut Squash and Potato Gratin with Fresh Sage (pg. 104), which inspired my own Sweet Potato and Squash Gratin. Especially good for: reference, general good food knowledge, and several go-to recipes.